We came with trending business for this week. On-demand economy and on-demand apps development are two buzzwords in the corporate sector. Who knew that ordering could be such a hassle? It could be such a tedious thing to ring a restaurant and order a meal. Sometimes you may put on hold, and even frequently you have to talk over the background noise of a busy restaurant. Moreover, reading off your credit card number in this 21st century feel incredibly old-school. Who knows who might hear your conversation? And why do we need to interact with people? We should be thankful for the pool of apps where one can order anything for delivery with just some taps on the phone. Whether the goal is to be anti-social, get any things to get done only by a few taps on the phone. These are the picks for the best On-demand delivery apps of 2019. Let us check out…. The demand for on-demand logistics app development is greatly intensified. These apps have made transportation easy and quick. The on-demand transportation app development can show real-time status along with various services such as real-time tracking, in-app chatting, easy payment mode etc. The best example of this Logistic and transportation app development is Uber Freight and UberDeliver. This two will allow the customers to book and delivery their freight or parcels anywhere anytime. The most disrupting sector in On-demand economy category is food. The one market that was getting more flow of startups every year. These apps make people feel convenient just by tapping a few steps in their phone. Most of the people are looking for new innovative features to integrate into their app to make the app unique. The best example of this on-demand food delivery apps development is UberEats, Zomato, Swiggy, GrubHub and many more. On-demand medical applications are one of the most significant advantages of the on-demand app development domain. Here in this on-demand healthcare app development, the user can get a doctor to their home on demand. Besides, the user can use this on-demand medical app development services to book medical tests from home and also get medicines by just a few taps which serve as medicine delivery app. The thriving healthcare domain receives a boost from on-demand healthcare application. The best examples of this medical and healthcare app services of an on-demand mHealth app are Medspace, Epocrates etc. The future on-demand trending business is the on-demand flower delivery app development. There are some cases we may forget our besties birthday or function. It happens. But there is a solution for this, i.e. the flower delivery app is on the way to enter the on-demand market. These type of on-demand app development may be of Gift or flower. Here the user can choose the gift of his preference. Even the user can schedule the preferred delivery time. The best example of this On-demand flower delivery app development or on-demand gift delivery app development is UrbanStems, Gyft and Giftgram in which various gifts can be delivered to the recipient’s doorstep. Everyone prefers convenience while travelling and the on-demand car booking app came into the scene. These apps made travel so relaxed and comfortable. People can easily find and book the cab from their nearby areas to reach the right spot. These taxi booking app development come up with the concept to make people life more convenient and comfortable. Best examples of on-demand cab service app development are Uber, Ola, Lyft and many more. These apps used to book the cabs that make the booking more convenient. Tailored on-demand applications can unquestionably benefit you boost your business while granting you a competitive edge over peers. 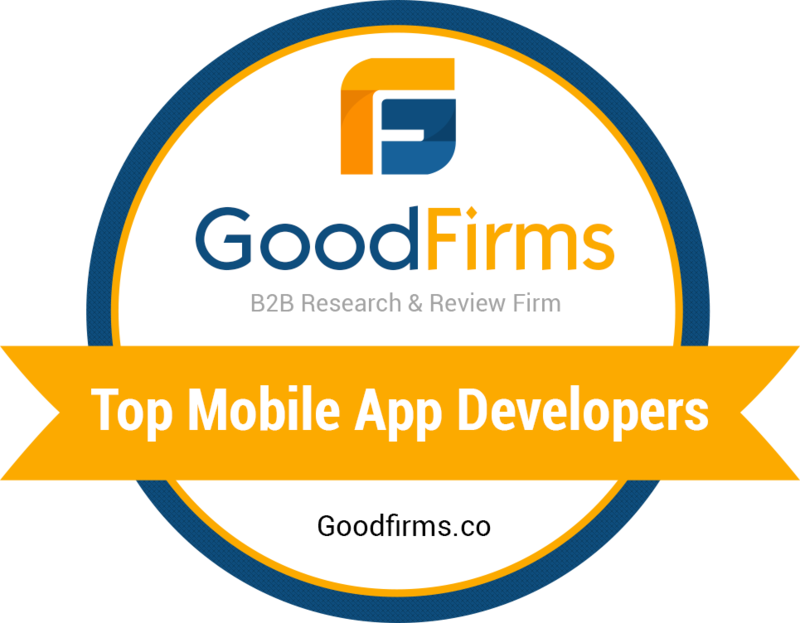 You can hire mobile app developers to gain the most efficient solutions cost-effectively. Just make a list of the features you want to propose to your customers and contact a strong on-demand app development company. The kind of on-demand delivery apps enables you to give a solution for any practical requirements. With an on-demand application, you can influence a wider audience an make your brand known. If you are enthusiastic in developing any sort of on-demand app, our team would be more than happy to serve you to make your idea a reality. Don’t hesitate to contact us if you have any queries. How to Develop an On-Demand Fuel Delivery App like Uber for Gas ? The on-demand economy has changed the world and especially the landscape of the business world too. How water is the primary component for human survival, fuel is the dominant element for the survival of industry sectors like automobiles, food, healthcare, transportation and others. The consumption rate of fuel has been higher than the production rate by nature. With the world becoming busier by the second as there are lots of transportation happening in a millisecond. Due to this, there results in a massive queue in fuel stations. With the demand for fuel, the business owners are looking for the on-demand fuel delivery app development solutions. What exactly are on-demand Fuel delivery apps? On-demand fuel delivery app is a simple concept that allows the app users to refuel their vehicles just by few clicks without visiting the fuel station. Well, the name is itself that if there’s no gas station nearby, then the app user can request for fuel delivery. One such latest on-demand fuel app is Cafu that is catering to the oil and gas industry which gaining momentum in the UAE. Why on-demand fuel delivery app? All of us wish to get everything right at the time when we need something the most. That is what on-demand is all about. The one-word description of on-demand is “now”. First of all, let us think, why would one want to develop on-demand apps? Is it an enjoyable and productive design for a startup business? Let’s see what the statistics have to state about this. According to the analysis, the total market income from all on-demand sectors was $14 billion in 2014. Soon it will reach a whopping $335 billion in 2025. Thus, it is no wonder that no-demand economy is going to flourish in the future. Startups and entrepreneurs will have a broader variety of opportunities now. So, what must be an excellent business model to build a fuel delivery app? The business model for building a Fuel delivery app? How Fuel Delivery App Work? Just download the app and provide your details to register. Here you can select the fuel type; quantity required and price confirmation. The fuel truck driver will use his app to navigate to your location and refill your vehicle. The amount will get deducted from the payment method that prior selected. After you ended with the above procedure in a few minutes, a fuel delivery truck will be there is our location. With on-demand fuel delivery app, the customers can order their time more professionally and minimise the time spent waiting in long queues at the fuel station. The launch popularity of various on-demand services promises to bring transformation in the typical process of searching and driving to the fuel station. Logistics Support: Make sure to have backup suppliers with the same quality and all the documentation & preparations are ready in case there is no waiting time when the orders are placed. Employees: The team has to be experienced to meet the traffic crowd. The demand for fuel is enormous, and they must be able to control the load and skill make smarter decisions and must be able to use the resources without wasting them optimally. Customer Support: The customer support is the backbone for any business. Having a quality team will be the best way for the success of the company. They must be capable of answering the queries to the customers. The customer support must be available around the clock as the demand for fuel is constant. On-demand fuel delivery is meeting a lot of challenges. It’s true that many financiers have arisen that are having old ideas, but it is also true that there has been a profusion of such companies. This abundance makes it hard to distinguish from the companies that are genuinely working towards their goals to those who just began the market only to gain the first mover benefit without any proper homework. Another challenge is related to the safety of which the officials always raise their concern. Safety concerns are typical for any on-demand fuel delivery app, and they have to address it honestly to run the services sustainably. The fuel delivery startups are taking all the necessary precautions and measures high-quality tanks, security systems to restrict unauthorised entry and safety systems to cut off main tanks during an external fire. One should make sure not to exceed the regulatory amount so that the fuel can carry for additional security. High-quality: The fuel is filtered and delivered that ensures high-quality. Assistance in emergencies: Provides the users with emergency roadside assistance, even the areas where the fuel stations are far away. Lower maintenance charges: It helps to provide fuel service providers with an escape from considerable investment in starting, maintaining and running a fuel station and other associated legal and financial terms that contribute to earning more profits with, lower investment. Higher customer loyalty: Helps the Fuel service providers to keep their potential customers hooked to their brand by catering to their needs wherever and whenever they want. Convenient: Using this the user can book in advance for refuel their vehicle. The developing cost of a fuel delivery app differs on factors such as the platform types, involved features, components of the admin panel, etc. However, the cost of developing an on-demand fuel delivery app varies on an on-demand mobile app development company, and the testing team will also define the price. The mobile app for fuel delivery services cost depends on various factors and functions involved in the app development process. To develop an on-demand fuel delivery app needs a lot of experience and expertise that everything will take care of the operations and attract customer’s attention. Determining the cost provides the whole company with a distinct impression. The proficient team controls, building a mobile app for fuel delivery services from finding the unique methods of expansion. Advanced features: Advanced features are those that differentiate your app form others. The on-demand mobile app development company you hire to develop your on-demand fuel delivery app will let you know the cost of building one that entirely depends on the factors such as App design, App features, App size, platforms, front and backend development and many more. The cost of building an on-demand fuel delivery app also depends on some components like the mobile app development company, so choosing the best team of developers, designers and testers are the real game changer. The on-demand economy has transformed everything by substituting old business models. By assisting with people what they need and where they require, on-demand apps have made our lives better than ever. When only a hit on your smartphone can serve you with fuel delivery, nobody can refuse such a service. Never focus on the short run but instead focus on the long term because fuel is a never-ending demand. So make your difference by providing the best on-demand fuel delivery app service at a customer’s doorstep. Good Luck. Krify has developed thousands of on-demand solution for many industries including Fuel and gas industry. Our developers are well-versed with on-demand mobile Fuel app development and are responsible for the uberfication of many service industry. We transfer your idea into a real mobile app that comes with a quality assurance process that assures seamless performance. Want to develop your fuel delivery app like Uber for gas? Reach us now. What a great combination! right? What if you cannot go and get them? No worry as there are on demand apps serving our needs. Humans are in a mechanical civilization spending a busy life and cannot manage to buy necessary groceries, cook food, etc. On demand apps became magic wands by delivering everything at our doorstep. Krify is one of the successful on-demand app development companies, specialized in crafting latest mobile apps, software applications, web applications, etc. We have a crew of on-demand app developers continuously working on various platforms to deliver high quality products. Applications like wag and uber have elevated the real definition of on-demand apps. At Krify we built many world class mobile applications and presently evolving in on-demand app platform. We also developed various on-demand apps. The main concept of this app is to deliver Beer to the users at their doorstep within minutes of placing an order. The User can place an order by using the app. Upon ordering Retailer and Admin will get the notification and·admin will assign a Driver to deliver the product to the particular User. There will be many people craving for Biryani but cannot go and get it to fulfill their crave, right? Here is the solution, just pick-up your phone and order your favourite. Biryani. App also provides to track your order on live tracking. According to the Source National Technology Readiness Survey below is the pie-chart describing the on-demand app economy consumers by age group. By the survey we can draw a conclusion that people are becoming more dependent on on-demand service mobile apps and there is going to be a lot of future for such apps. If you have any idea about the on-demand service mobile applications, our crew is here to execute them. We have passionate developers to work on different platforms and promise to deliver a quality service. Krify is the right stop to execute your on-demand application.